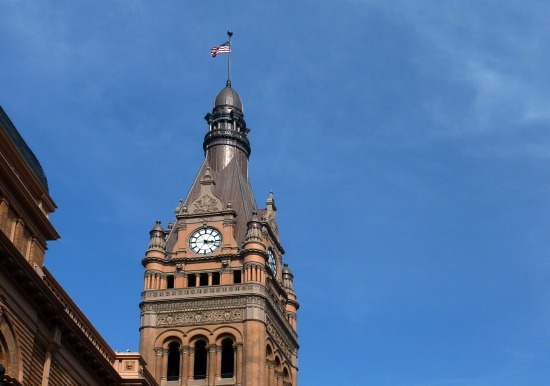 The historic Milwaukee City Hall was constructed in 1895. 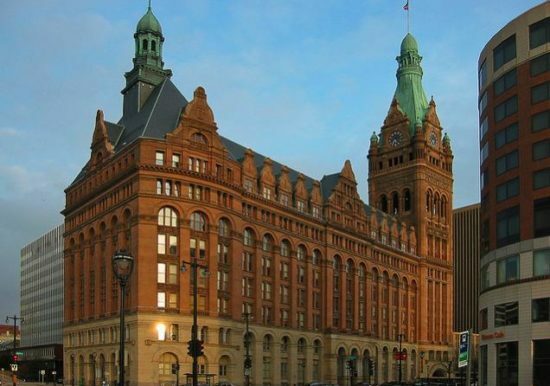 The building is 350 feet tall at its highest point (clock tower) and the exterior is constructed from a combination of sandstone, granite, and terra cotta. 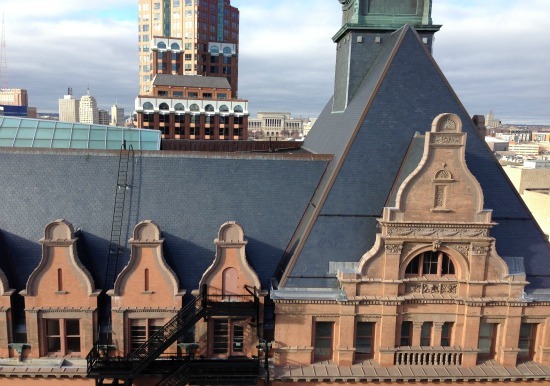 The building has undergone multiple renovations since its inception including a two year facade restoration project completed in 2014. 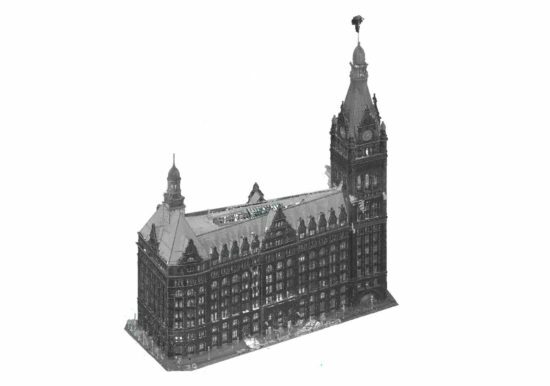 In 2015, ZS was retained to perform 3D laser scanning (LiDAR) as part of a long term exterior wall assessment and monitoring program for the City Hall. 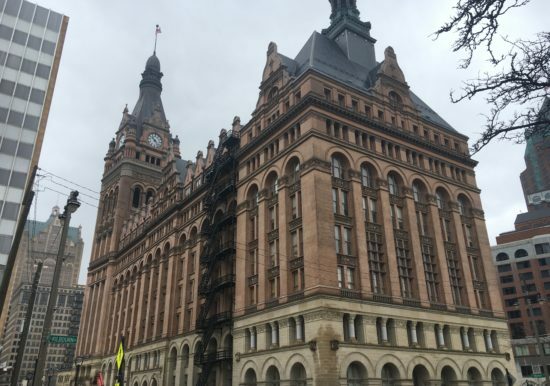 The project involves laser scanning the exterior at six month intervals and utilizing the data to remotely monitor movement through state-of-the-art plane and cloud-to-cloud deviation analysis. 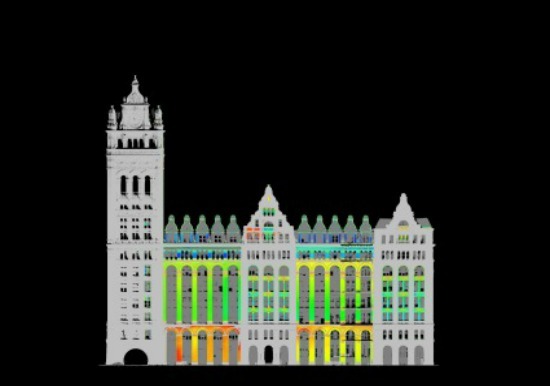 Laser scanning from ground level and roofs of adjacent building at six month intervals. Preparation of periodic exterior walls conditions assessment reports.